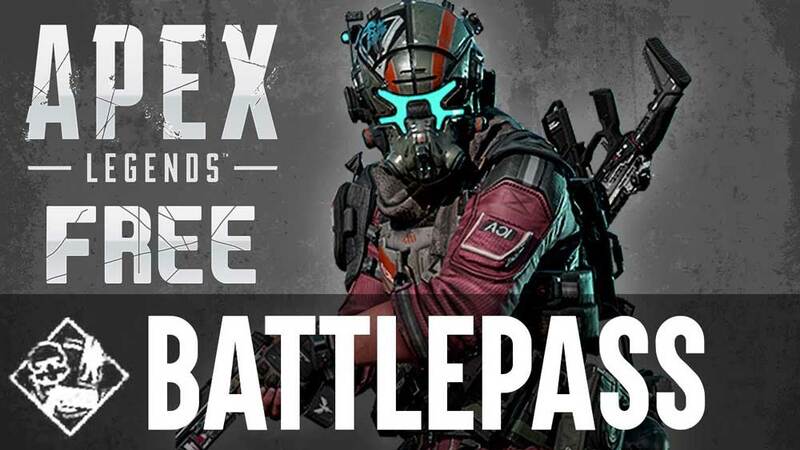 One of the biggest games on Battle Royale style Apex Legends announce that they are coming up with new VIP passes know as Battle Pass. Now the hype which is created around these Battle Pass is terrific as Apex Legends has more than 50 million downloads from the Game servers and has more than 35 million players playing concurrently on the game server. We stumble upon the sheer power of Apex legends in creating hype between players for the Season first Battle Pass which will give them free cosmetics and other game items. Apart from these, you can expect hundreds of game cosmetics and banners with 10000 free Apex coins when you clear all levels. Well, there are many things which you cannot expect with Apex Legends, unlike other battle Royale game like PUBG and Fortnite, you will be not given any special mission or additional task to complete with these Battle Pass. Apex Legends Battle pass comes under players criticism on this issue that if VIP pass used did not get any extra benefits like new challenges which can fetch game coins then what is the real use of these Battle pass. Apex legends need to learn from Fortnite and PUBG, how to satisfy VIP users or players who are spending hundreds of the dollar to purchase different game cosmetics and battle pass. One of the biggest disappointments was in the form of opening of 25 levels in the Apex legends game for the advance Apex Legends Battle pass holders, which gives an edge over none-spending players in the game. Apex legends should check all the other games which have similar gameplay and churn out Battle Pass or Elite Pass in their game to boost sales and keep their premium customer happy. One more criticism which Apex legend gets is in the form of prolonging seasons, as every other game churn out battle pass every month, Apex legends decided to make it for three months. So, are you really happy with Apex Legends Battle Pass Cost and benefits? We loved to hear from you all, please comment below and tell us what you think about these benefits which Apex Legends churn out with Battle Pass, is it worth the price.